Your website is one of the most important touch points for your business online. This is where clients who search for you online are most likely to land and you want to make sure that it makes a good first impression. 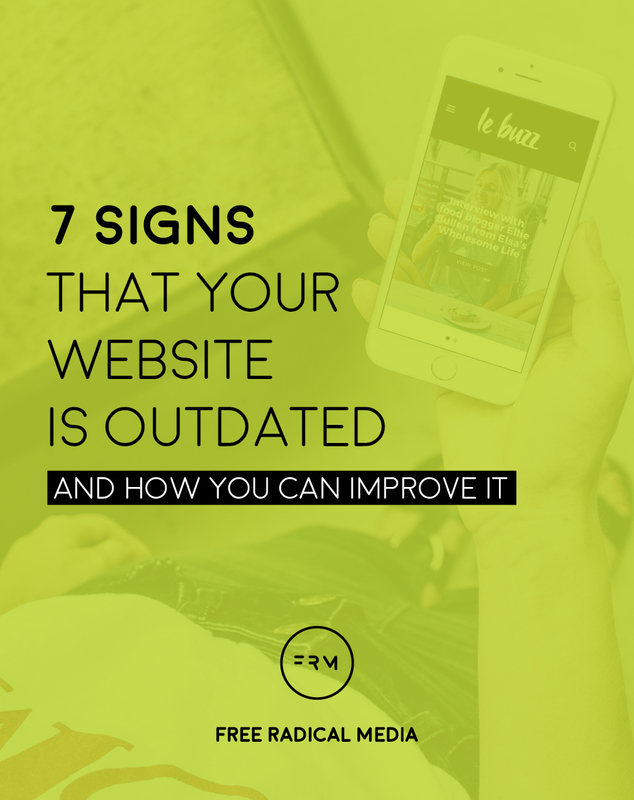 Here are seven signs that your website is outdated and might not be serving its purpose successfully anymore. Let’s start with the basics. When a user visits your site will all the navigation take them where they need to be? Keep visitors on your site by making sure your menu links and buttons work correctly. Are your social media accounts linked to your website? In this high paced online world credibility is king and social media is one way of getting it. Link your social media accounts to your website (and vice versa) to increase traffic and give visitors a well-rounded impression of your company. In the past 8 years we have really seen a shift in where web traffic comes from. The majority of visitors now browse websites from their mobile phones. One good way to make sure your website is optimised for mobile view is asking this: Do your visitors need to zoom in to read your website on their phones? If that is the case, you do not have a working responsive website and you stand the risk of losing out on the majority of your visitors because of it. Does your website have Google Analytics enabled? How did we learn all the nifty stats about where website visitors are browsing from? Well, Google Analytics of course! This back-end platform from Google gives you extremely valuable insight into the performance of your website and how visitors behave when they are there. This gold mine of information can help you improve your website, get to know your target market better and take your customer service up a notch. What is your website’s SEO ranking? SEO stands for Search Engine Optimisation and it includes everything that you can do to help search engines like Google show your website in search. This includes the type of keywords used on your site (both in the front-end and back-end), the links you have on your website and the content you create. Search engine take all of this into account when they place you in a search result online. Is your website info up to date? Or do you still have that cool banner advertising your Christmas specials from 2014 on your home page? At its core the function of your website is to give visitors a clear and updated outline of what you do and how you can meet their needs. Make sure that it, at least, meets that criteria. When a visitor lands on your website is the function of your business clear as day or do they need to do some digging to figure out exactly what it is you do? Is the menu easy to find? Are the fonts you used legible? These are just a few things to consider when analysing your website. Consumers have so many options at their fingertips that if they do not have a positive experience on your website they simply move on to the next. You don’t want to lose out on a potential customer for something as simple as an unclear home page. Updating your website can feel like a lot to tackle but providing your visitors with an informative, user friendly experience will leave them confident in your abilities to meet their needs. Make sure your website is a stepping stone for your business instead of a hurdle.